featuring celebrity keynote speaker RICK OVERTON and celebrity emcee DEAN CAMERON. Monday, November 7, 2005, 6:00-8:00pm, home of Richard Wolfe, 7171 Chelan Way, Los Angeles 90068. PLEASE RSVP to [email protected], (202) 362-0030. Light refreshments will be served, cash bar, $50 minimum requested donation (sliding scale available upon request, no one will be turned away). Supporting speakers to include: Marisa Garcia, SSDP activist & student affected by the HEA drug provision; Pat Hurley, California Association of Student Financial Aid Administrators; Alberto Mendoza, Drug Policy Alliance; David Borden, DRCNet. 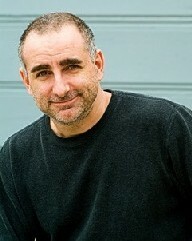 RICK OVERTON is a prominent comic/actor/writer in Hollywood. His film credits include roles in Fat Albert, Cloud Nine, Mrs. Doubtfire, Groundhog Day, Blind Fury, Beverly Hills Cop, Airplane II: The Sequel and many others. On television he had a starring role in the series Bill and Ted's Excellent Adventures; Joan of Arcadia, Seinfeld, JAG, The Tonight Show, The Late Show With David Letterman and NYPD Blue are only a few of his guest TV appearances. He appears as himself in the recent movie The Aristocrats, as well as on the television specials Comic Remix and The Sunday Comics. Overton won an Emmy for his writing during the 1995-1996 season of Dennis Miller Live. 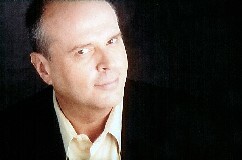 His web site can be found at http://www.rickoverton.net online. DEAN CAMERON has the dubious distinction of being known as "that guy" from "those movies" -- Summer School, Bad Dreams, Rockula, Men At Work, Ski School, Sleep With Me, Kicking and Screaming, to name a few. On television his work includes a recurring role on Mr. Sterling, guest appearances on Will & Grace, ER, Mad About You, Felicity, Any Day Now, and regular roles on Fast Times, Spencer and They Came From Outer Space. Cameron is a writer, stage actor and producer -- his two person comedy "The Nigerian Spam Scam Scam" was a sell-out hit at the Edinburgh Fringe festival and will open off-Broadway next spring. Cameron also plays bass with the band The Thornbirds. Visit http://www.deancameron.com to learn more about him. In 1998, Congress enacted an amendment to the Higher Education Act that denies loans, grants, even work-study jobs to tens of thousands of would-be students every year who have drug convictions. All these young people, who were already punished once for their offenses, are being forced to spend more time working to pay for school, reducing their course loads, or dropping out entirely. Since that time, a campaign to overturn the law has spread to hundreds of campuses around the nation, aided by civil rights, education, religious, substance abuse recovery and drug policy reform organizations. A bill to repeal the HEA drug provision, H.R. 1184 (the RISE Act), was reintroduced on March 9 by Rep. Barney Frank (D-MA) and has so far garnered 69 cosponsors. A resolution opposing the drug provision has been adopted by more than 115 student governments at the time of this writing (October 2005), and more than 250 national and state organizations have called for the law's repeal. DRCNet (Drug Reform Coordination Network) Foundation, in partnership with Students for Sensible Drug Policy (SSDP) and other friends of civil liberties, has created the John W. Perry Fund to help students affected by the law stay in school. Though we can directly assist only a fraction of the 34,000 would-be students who've lost aid this year alone, we hope through this program to make a powerful statement that will build opposition to the law among the public and in Congress, and to let thousands of young people around the country know about the campaign to repeal it and the movement against the drug war as a whole. Please join DRCNet on November 7 in Los Angeles to help make a statement while raising money to help students affected by the law stay in school! If you can't make it, you can also help by making a generous contribution to the DRCNet Foundation for the John W. Perry Fund. Checks should be made payable to DRCNet Foundation, with "scholarship fund" or "John W. Perry Fund" written in the memo or accompanying letter, and sent to: DRCNet Foundation, P.O. Box 18402, Washington, DC 20036. DRCNet Foundation is a 501(c)(3) nonprofit charity, and your contribution will be tax-deductible as provided by law. Please let us know if we may include your name in the list of contributors accompanying future publicity efforts. John William Perry was a New York City police officer and Libertarian Party and ACLU activist who spoke out against the "war on drugs." He was also a lawyer, athlete, actor, linguist and humanitarian. On the morning of September 11, 2001, John Perry was at One Police Plaza in lower Manhattan filing retirement papers when the first plane hit the World Trade Center. Without hesitation he went to help, losing his life rescuing others. We decided to dedicate this scholarship program, which addresses a drug war injustice, to his memory. John Perry's academic achievements are an inspiring example for students: He was fluent in several languages, graduated from NYU Law School and prosecuted NYPD misconduct cases for the department. His web site is http://www.johnwperry.com. Visit http://stopthedrugwar.org for further information on DRCNet. Contact the Perry Fund at [email protected] or (202) 362-0030 to request a scholarship application, get involved in the HEA Campaign or with other inquiries, or visit http://www.raiseyourvoice.com and http://www.ssdp.org online.